Typically the general rule of thumb is “go big or go home,” but when it comes to wood surfaces, they don’t have to be big in size to provide functionality and character to a home. Small Wood Surfaces can be designed to fit in any space with any style design. This small Sapele Mahogany Butcher Block was designed by Past Basket Design. Cleverly placed at the end of the kitchen island, this butcher block provides plenty of space for food preparation out of the way of the rest of the kitchen. Here we see another design with a small wood surface at the end of the kitchen island. 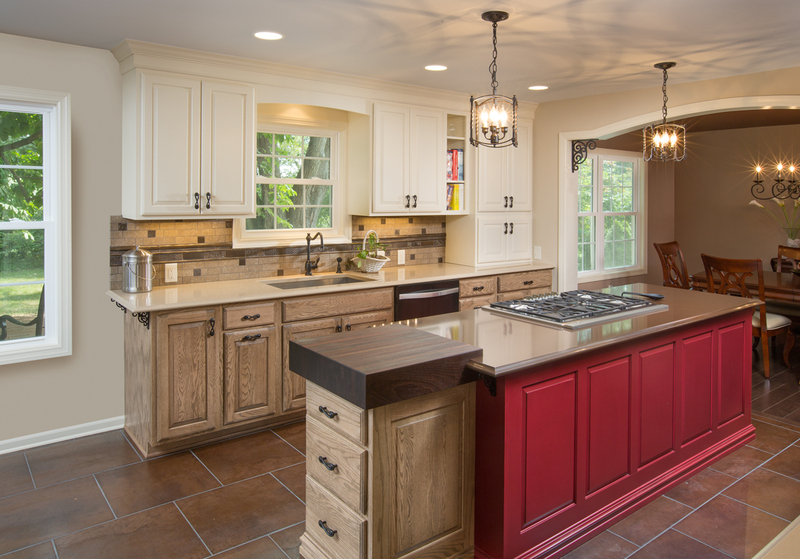 This space was designed by Griffey Remodeling. The wood surface was crafted of Peruvian Walnut wood in edge grain construction. The wood surface is strategically placed in close proximity to the sink and cooktop, while still allowing plenty of room for food preparation. Not to mention, it naturally makes for a beautiful focal point. Designed by Pine Street Carpenters, Inc. 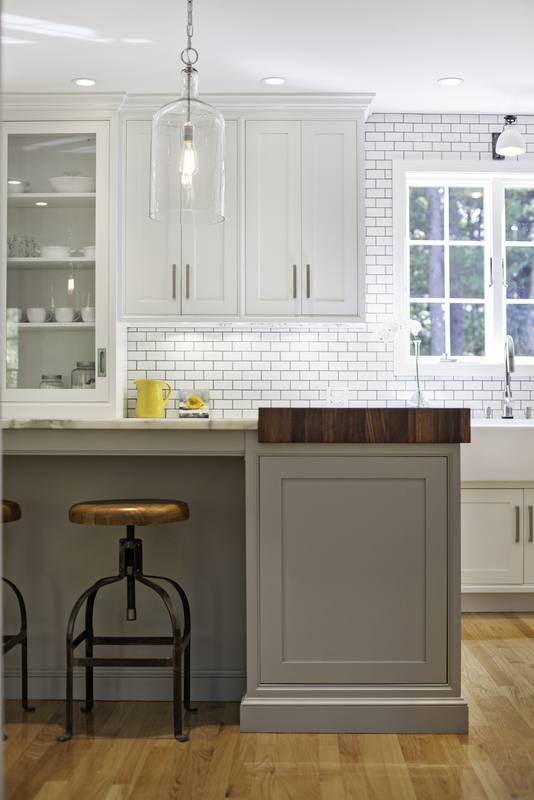 This classic white kitchen was designed by Pine Street Carpenters, Inc.. The kitchen features a small Walnut Butcher Block for food preparation. 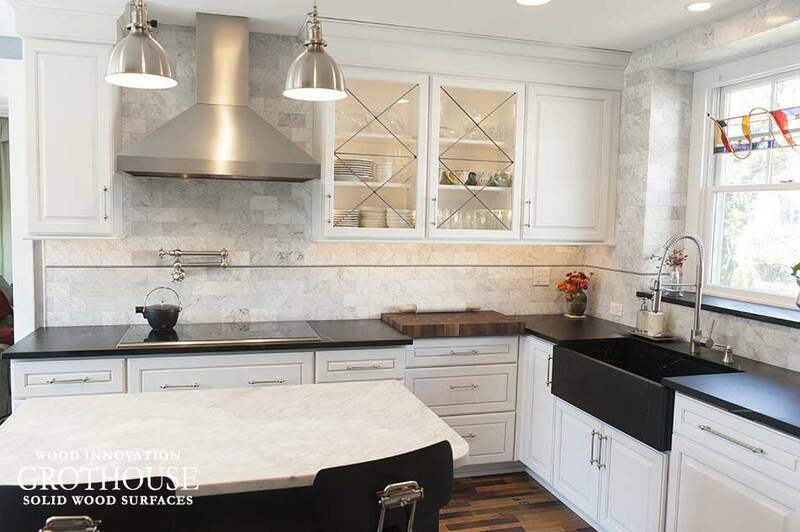 The butcher block is placed thoughtfully between the sink and the cook top. This placement creates an efficient work space. Vegetables can be cleaned in the sink, chopped on the butcher block and cooked on the stove with just a few small steps in between. 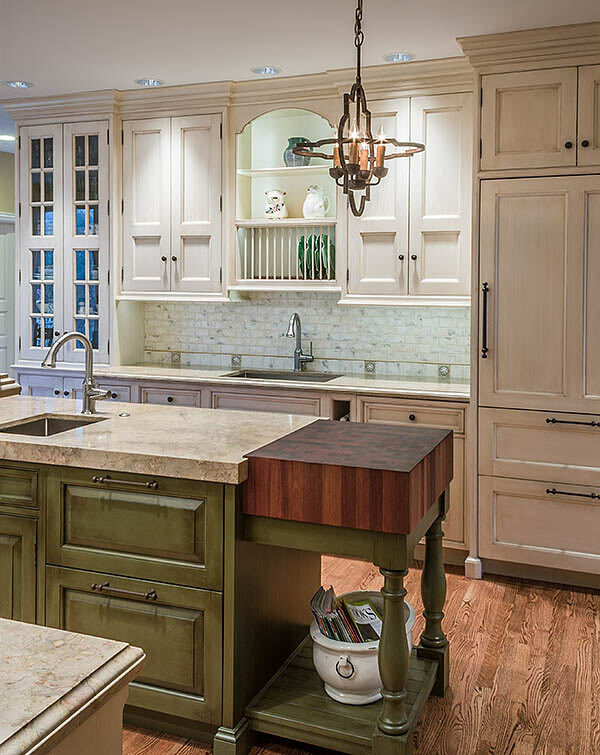 Karen Swanson of New England Design Works designed this kitchen to include a small Walnut Butcher Block at one the end of the kitchen island. This butcher block is larger than the other wood surfaces previously mentioned, and provides more space for food preparation. To see more designs featuring small wood surfaces, check out our pins on Pinterest!